pinch of flake sea salt such as Maldon. 1. 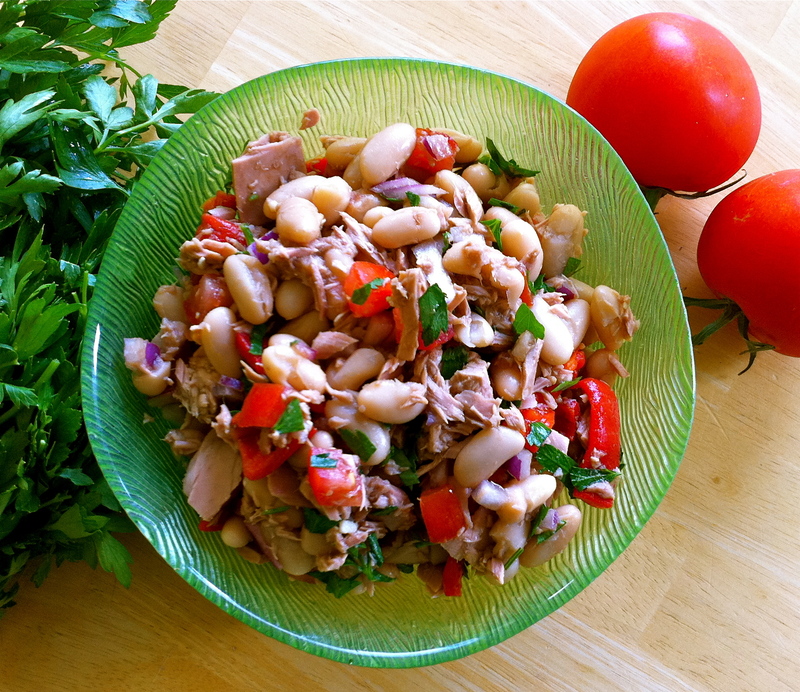 Empty the contents of the tin of tuna, including olive oil, into a large seving bowl. 2. Add the rest of the ingredients, mix thoroughly and season with sea salts flakes. This is a bright and nutritionally balanced salad that is really quick to prepare and , although it is great served straight away , it gets better over time so is perfect to be made in the morning and eaten at lunchtime. The salt releases all the juice from the tomatoes and mixes superbly with the olive oil from the tin of tuna making a seriously good dressing with minimal effort.